He was the last one to see her so he really doesn't know if she is still alive or not. I'm convinced she is still alive though, otherwise it just wouldn't make sense storywise. Exactly. The only way they can make someone being dead interesting is if it's something like what happened with Carol's daughter a couple of seasons ago. But now they've done that. If they wanted to surprise us, they'd have Beth appear as the now-evil ruler of Terminus. Instead, she'll probably eventually show up but be as ho-hum and forgettable as ever. LOL! I gather you are not a fan of Beth. I wasn't either but she kind of redeemed herself in the last couple of episodes. Wait, I must have missed that part. Who discussed Beth, and how do they know she's alive? Wasn't Daryl the last one to see her, and he doesn't know. I meant that Beth was discussed on The Talking Dead, so we know she's still alive for the moment. I'm wondering if perhaps she's with the next "Governor". I won't go into details, but there's a big villain in the comic series that hasn't arrived yet in the tv series. I hope the new villain is played by Kevin Durand. Good! The previous Governor was one of my favorite characters. And agreed, it would be a good plot twist to have Beth show up in the news guy's company. Found this online this morning, and gave me a chuckle. Shane or Rick? Who will hear "you are NOT the father?" I do wonder if anyone ever suspected that Carol would become such a badass, and one of the favorite characters out there now. Thinking back to season one, she was the 'mousey' abused wife, who seemed to be helpless. After the deaths of her husband and daughter, she has really become one of the strongest characters on the show, to the point on 'Talking Dead' they asked whether or not she should be leading the group instead of Rick. -- If they kill Daryl, I will stop watching the show. That's all there is to it. I think there are enough people who feel like me that they just won't. It would be like if "Happy Days" killed off the Fonz. 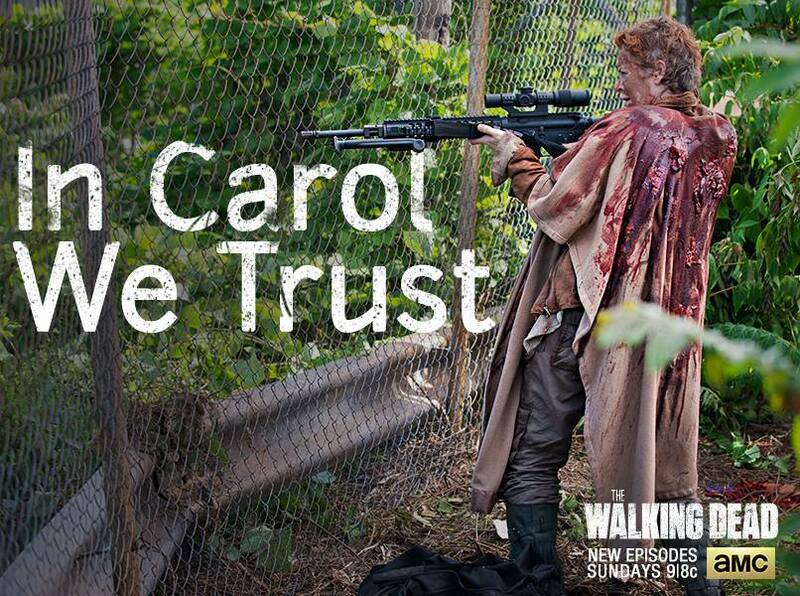 -- They also had better not kill Michonne, nor Carol or nor frankly even Maggie. -- Nor should they kill Baby Judith. -- Killing Rick would probably be a bad idea since, annoying as he can be, he's still sort of the central character and ostensible moral center of the show. -- Sidenote: a romantic pairing of Rick and Michonne would be awesome. -- As for the others, they can take whoever they want. Carl first, please.